Eleven years ago today terrorism on a scale once thought unimaginable visited the shores of the United States. That day over 3,000 people from over 90 countries lost their lives and ordinary Americans from all walks of life became heroes assisting the victims. As our nation remembers the tragic events of that fateful day, maybe we can set aside the things divide us. In comparison, those differences seem petty. The day for working through those differences will come. 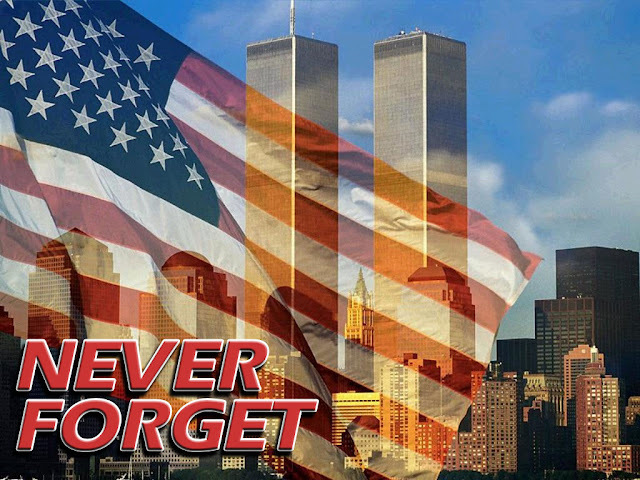 Today, as we remember the victims of those attacks, let us also remember that in spite of the differences we may have among us, we are Americans!